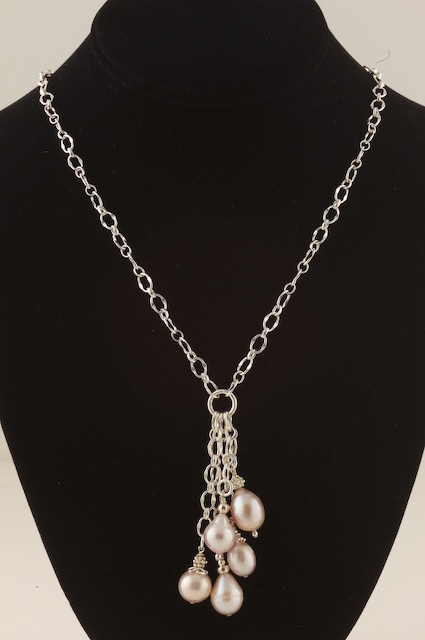 Celebrate pink with this modern sterling silver necklace with five different sized and shaped freshwater pink pearls. Very cool and versatile. The chain is 18 inches long but can be sized shorter or longer. Handmade, like everything on my site - no two exactly alike.